Some of the most experienced folks in the business that make a real connection with your funny bone. Improv Playhouse improv teams are some of the most hilarious and professional having performed in hundreds of venues including Fortune 500 events, private parties, college campuses and bar/bat mitzvahs. Customized to your liking, OUR FAMILY FRIENDLY show mimics the format of improv that inspired ABC’s hit TV show “Whose Line is it Anyway?” that turns into a mesmerizing, gut giggling, belly laugh-out that lasts between 45-60 minutes. Second City Cruise Ship talent, iO and Steppenwolf performers and national commercials including the 2010 Super Bowl. Several of our comedians are members of the national talent unions including Actors Equity & SAG-AFTRA. Want to see our Improv Comedy Team Promo? Click here! Young and Old alike have a terrific time at Improv Playhouse Events! and we look forward to hosting another event with you guys in the future! With kindness..."
The Improv Playhouse offers some of the best stand-up comedians in the Midwest. Among our talent we offer you the hilarity of folks who have been on Oprah, HBO, Comedy Central, Last Comic Standing, FOX and The Tonight Show! Improv Playhouse features "corporate friendly" comedy. Solve the crime through our fun-filled, interactive Whodunnit! Our actors and Your Guests are the Characters! Make your next event come alive!
" Omg they were amazing we had a blast! 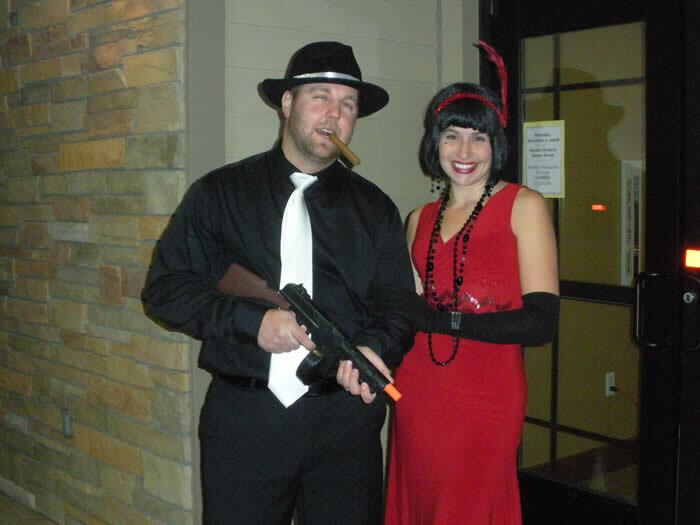 Aaron&Shelia made this event so much fun everyone is still talking about it:) "
The Improv Playhouse Murder Mystery Event was perfect! The actors were very well organized and kept everyone engaged in finding out who the murderer was, which can often be difficult with a group of typically introverted engineers. 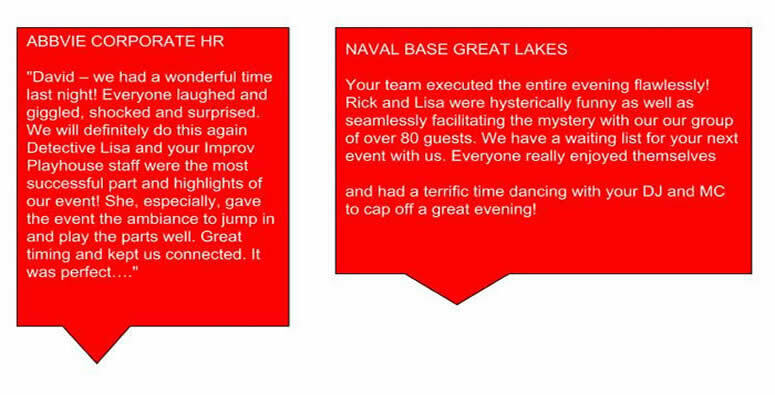 I will definitely recommend improv playhouse to other groups at Cardinal Health. We had a ton of fun! 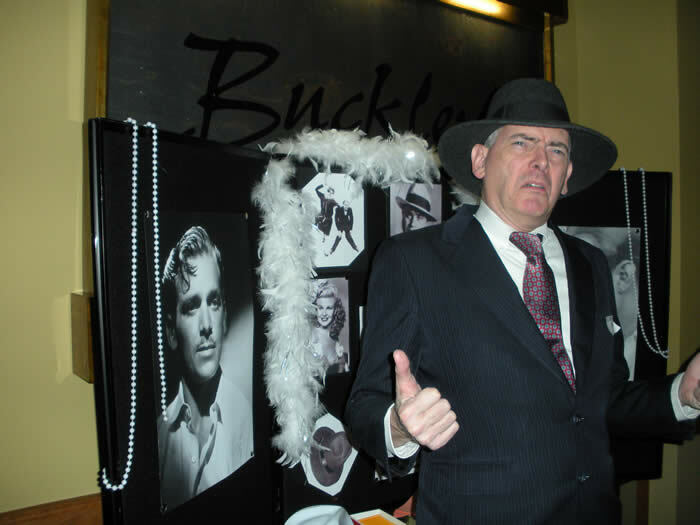 Want to see our Murder Mysteries in Action? Click here! IMPROV PLAYHOUSE MYSTERY THEMES FOR ANY OCCASION! FITNESS CAN BE MURDER: News flash! The steam room of the PUMP 'N' PRESS Fitness Center is now a crime scene. The continuing saga of the Bucca Family during the Roaring 20's at its most nostalgic!! DEATH BENEATH THE SPHINX: The Egyptian sun, palm trees, and pyramids mingle with international finance, mummies, death curses, and smuggled treasures. Return to Merrie Olde England and that fateful Christmas Eve when Scrooge was transformed by the Spirits of Christmas into a kind and generous soul. Then who would have wanted to kill the old man the very next night? There's a whole village of suspects, including his own nephew, the poor clerk and his wife, a half-crocked maid, and the local schoolmaster. THE ELF WHO KNEW TOO MUCH! Turmoil at the North Pole. Comet has organized the reindeer and they have gone on strike. The hardest working elf, Endorfin, has been electrocuted, and a depressed Santa has gone on a feeding frenzy. Who will help get out the toys this Christmas? GREAT REINDEER HOAX!! We've all heard the proof that Santa exists because he ran over Grandma with his reindeer. But new evidence has surfaced that Grandma's death was no accident. Grandpa's been acting awfully screwy, and then there's Uncle Louie . . . or was it Cousin Mel? Find out who saw Mommy kissing Santa Claus and who's gettin' nuttin' for Christmas! It's the Homecoming Pep Rally and the Possums' quarterback was drowned in the pool. DEAD ON THE MONEY What do tennis, golf and thoroughbred hunting dogs have in common? Find your answer in this hilarious "Southern Fried" mystery. The Smell of Gunsmoke: A fixed card game at the Short Branch Saloon! It's the Fabulous Forties! It's Chicago! It's...the DeChette Mob! The list of believers in Madame Gaze's psychic abilities spans the globe and reads like a Who's Who! We believe in our ability to create lifelong memories. We seek to be leaders in the event entertainment industry. We will take your breath away with fair pricing and amazing experiences. We are here to serve you and your family from generation to generation. We are thankful for the opportunity you have given us to celebrate with you. BLAST! 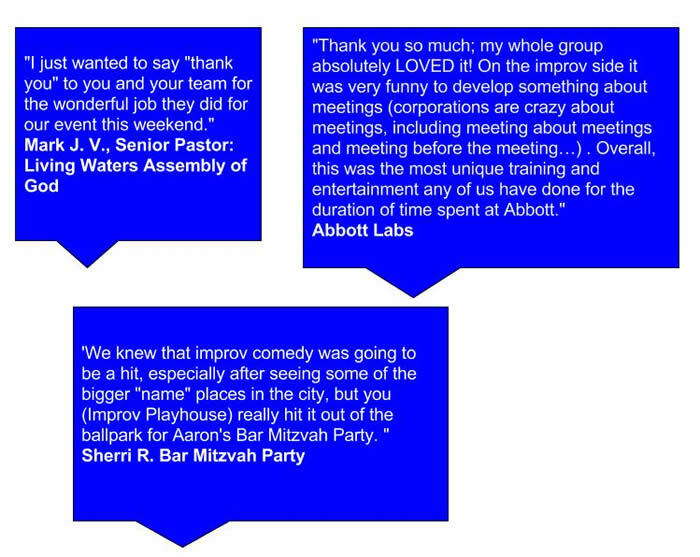 Entertainment (a division of Improv Playhouse) has served dozens of weddings, mitzvahs, graduations and special events in the greater Chicago North and Northwestern Suburbs. Our DJs and MCs are familiar with directing a ceremony, providing music and MC services during your event and then directing the crowd to and from your cocktail hour. Taking the time to meet with and listen to the client, as well as getting to know the Bride to Be, b’nai mitzvah child, or the birthday girl/boy, enables us to create an event that doesn’t just meet your needs, but is truly a unique experience where all will have a BLAST! With so many entertainment companies to choose from, our goal is to be the best at what we do…without exception! In addition, professional training and continuing education for our creative entertainment specialists guarantees their familiarity with various genres of music and dances attracting guests from different ages and backgrounds to spontaneously engage on the dance floor., With BLAST! 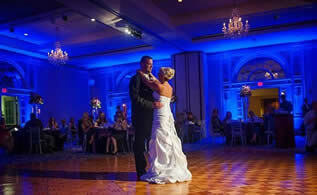 DJ services you’ll dance, party and celebrate in style! Over 20 years' experience. Formally attired, professional DJs. Knowledgeable, energetic emcees. State-of-the-art sound systems. Tasteful lighting. MUSICIANS: Classical, Jazz, Folk. Duets, Trios, Quartets, etc. 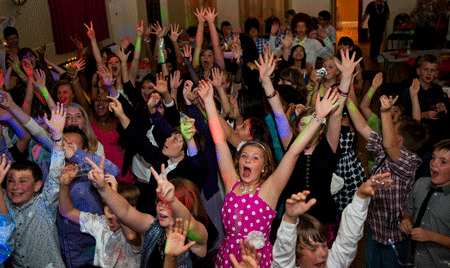 Any combination of entertainment can be arranged to make your party new and exciting. Let us know what your budget is. We’re flexible and can customize a package to fit your needs.